It’s not just about Philando Castile, Alton Sterling, Freddie Gray, Eric Garner, Michael Brown, Walter Scott, or the countless other unarmed Black people killed by police. This is about the ability to view Black men for their individuality. The resurgence of fatalities of unarmed Black men by police can’t all be isolated incidents. At first glance, what judgments do we make about Black men? What can bring light to their humanity? To See or Not to See is a multi-platform, site-adaptive project comprised of both stills and video, that pokes at the hyper-visibility of black men as a collective and at the same time the invisibility of Black men as individuals in American society. The project primarily follows four separate men: Jonathan Davis, Paul Henry Foote, Frankiem Mitchell, and Bruce Wilson in the same age demographic with different journeys yet, the current political climate present them as one entity, obliterating their stories. In conjunction with “video gazes” there are vignettes of documentary footage that share the day-to-day lives of the men and offer a piece of their journey, their truth, their visibility and their individuality. 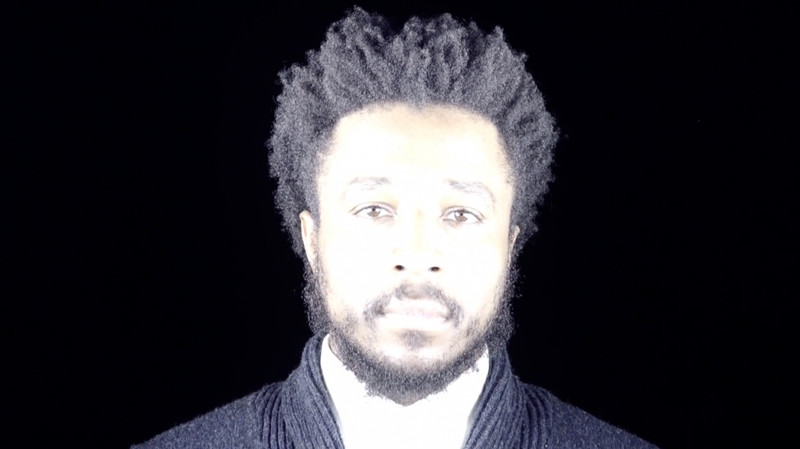 About the Artist: Shané K. Gooding is a photographer and video artist telling stories about the human experience. Part of her work is deeply personal and reflects on home and identity. Another part of her work also analyzes and probes into the image constructions and representations of race and visibility in mass media, it’s vapidity and the toggle with intersectionality, from the individual agency to the macro level of systems. Her interest is in creating imagery that illuminates those and the personal journeys of those blown out of sight. The mode is interdisciplinary multimedia with an expanded notion of photography to encompass moving portraiture, video installations and writings with a multi-platform approach. Gooding was educated at New York University’s Tisch School of the Arts, majoring in Film and Television. She began interning, working and writing in the film and television industry with production companies like DreamWorks and Miramax. She soon after received her Masters degree from Howard University in Mass Communications and Media Studies. As of recent, she received her Master of Fine Arts degree from the School of the Art Institute of Chicago for Photography.